Introducing the most refined TP9 yet. The Canik TP9 has been a huge hit with American shooters since making its way state-side. Put one in your hand, give the trigger a squeeze—and you'll quickly start to understand why. The ergonomics are exceptional, the accuracy is pin-point, and the trigger is among the best in its class. Look at the price tag, and it'll all become clear: this is one of the best values in shooting. The TP9SF Elite is the flagship of the series, with a number of outstanding features. The 4.5-lb. single-action trigger is smooth, predictable, and all-around great. It comes with industry-standard dovetail sight cuts that are compatible with a large variety of aftermarket sights. It also features a re-worked angular slide profile that should help to clear up the sight picture, and the decocker has been removed. 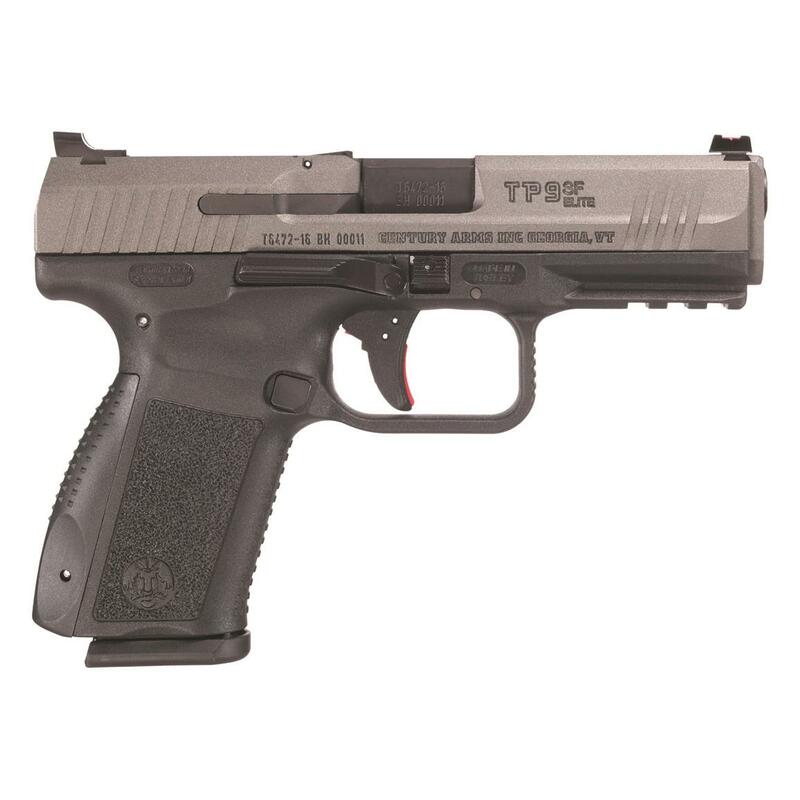 It comes with Warren Tactical sights, and is finished in Tungsten Cerakote over phosphate for exceptional durability.